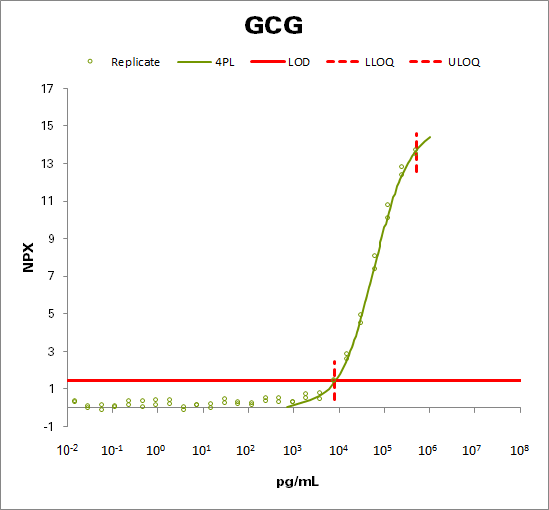 Please note that the antibodies used in this assay are specific for the GLP-1 cleavage peptide of pro-glucagon. GLP-1 is a potent stimulator of glucose-dependent insulin release. Plays important roles in gastric motility and the suppression of plasma glucagon levels. May be involved in the suppression of satiety and stimulation of glucose disposal in peripheral tissues, independent of the actions of insulin. Has growth-promoting activities on intestinal epithelium. May also regulate the hypothalamic pituitary axis (HPA) via effects on LH, TSH, CRH, oxytocin, and vasopressin secretion. Increases islet mass through stimulation of islet neogenesis and pancreatic beta cell proliferation. Inhibits beta cell apoptosis.